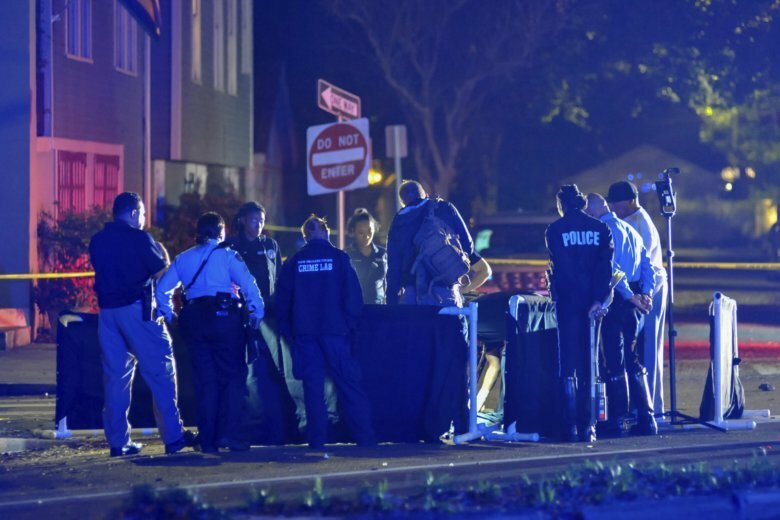 NEW ORLEANS (AP) — A driver suspected of killing two people and injuring seven others, most of them on bikes, as large crowds gathered in New Orleans for Mardi Gras told police after the deadly crash, “I have a drinking problem,” according to a police report. New Orleans police said Tashonty Toney, 32, was charged with two counts of vehicular homicide and other charges after crashing his car Saturday evening on a busy thoroughfare near the route of one of New Orleans’ largest Mardi Gras parades. Toney’s bond was set at $510,000 by a magistrate commissioner Sunday. Toney did not speak during the hearing and was represented by a public defender, the newspaper said. The public defender’s office in New Orleans did not immediately return a phone message Sunday from The Associated Press. Cunningham said Toney was the son of a New Orleans police officer and promised the department’s investigation will be “open and transparent.” Saturday was Toney’s birthday, the news release said. The crash happened along a multiple-block stretch of Esplanade Avenue, a leafy street that connects the city’s biggest park with the French Quarter. The scene was close to the route of the Endymion parade, one of New Orleans’ largest Mardi Gras parades, that was held Saturday. “We were able to apprehend the subject so quickly because citizens stopped this individual, because they thought they were helping someone who had just been involved in a one-car accident,” Ferguson said. Rourk and two other people were able to wake the driver, and Rourk, who initially didn’t realize anyone was hit, told the driver: “I’m pretty sure you’re the guy who wrecked the car. You better go back there.” The driver then asked whether he had killed anyone. “It just happened there were people there – bicyclists,” Barrymore said. Barrymore said he saw two women and one man get struck. He said he went to help but it quickly became apparent that one of the women and the man didn’t survive.